The wait for gardening season is almost over. 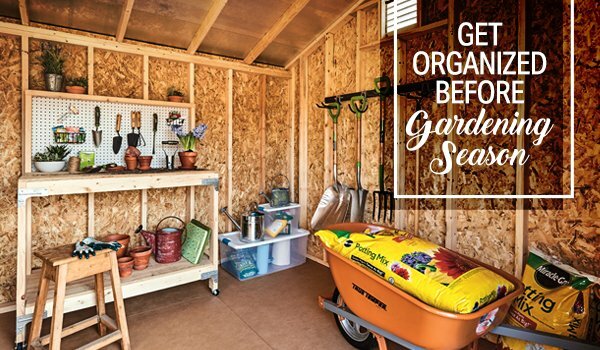 It’s time to get both your garden and your garden shed organized and ready for spring. 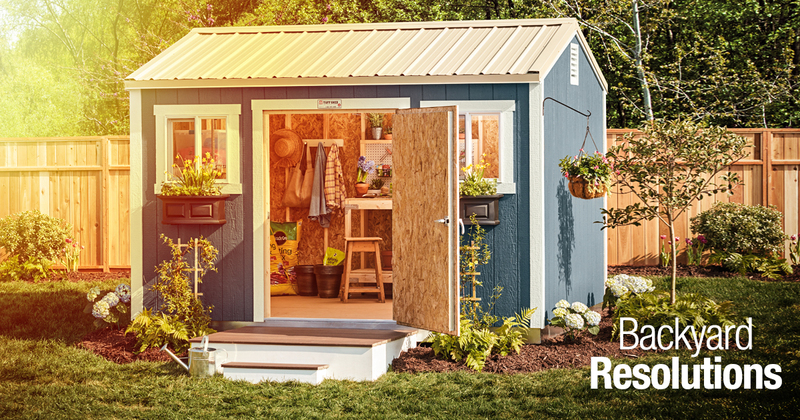 With these quick tips you, and your shed, will be more than prepared for planting the best garden yet. Start Fresh-Just like tilling and weeding your garden bed, it helps to start fresh inside your garden shed. 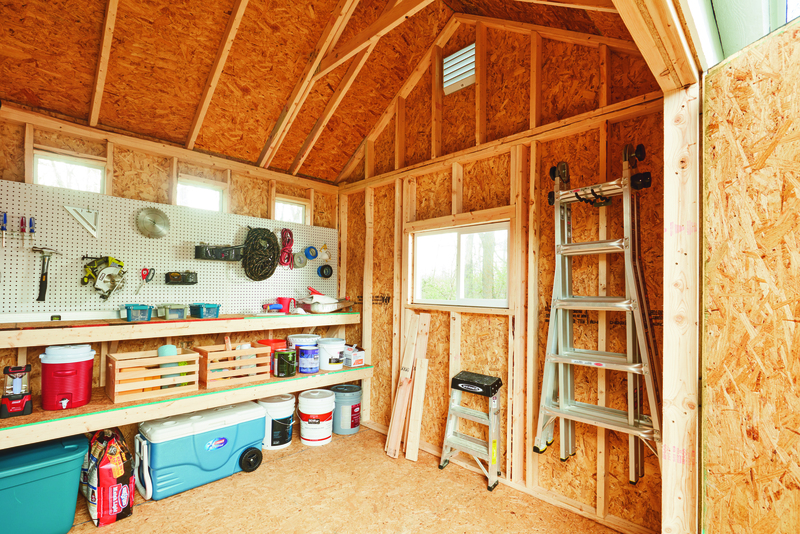 Take some time to clear out your shed so you can start fresh with a blank slate. Re-organize the items, moving the cold weather gear to the back of the shed and your gardening tools up front. Tool Storage-Save yourself time and frustration by keeping your most used tools in an easy-to-grab area. Whether you set aside hooks on a pegboard or a pot on a workbench for storage, make sure these tools are handy for those quick jobs throughout the season. Clutter No More-Even the best gardeners can find themselves in a cluttered shed. Think about adding baskets or totes to your shelves for organized storage. Add labels to the storage containers to save even more time when searching for the right tool. If you’d prefer to see all your tools instead of storing them away, a pegboard is a great storage option. Re-purpose- Found and repurposed items can work great for storage and organization in your shed. Reuse old planters and pots for keeping tools neat and tidy, fill them with potting soil for easy planting, or store your garden hoses. Old mason jars can be useful for storing plant markers, seeds, and other small tools and supplies. 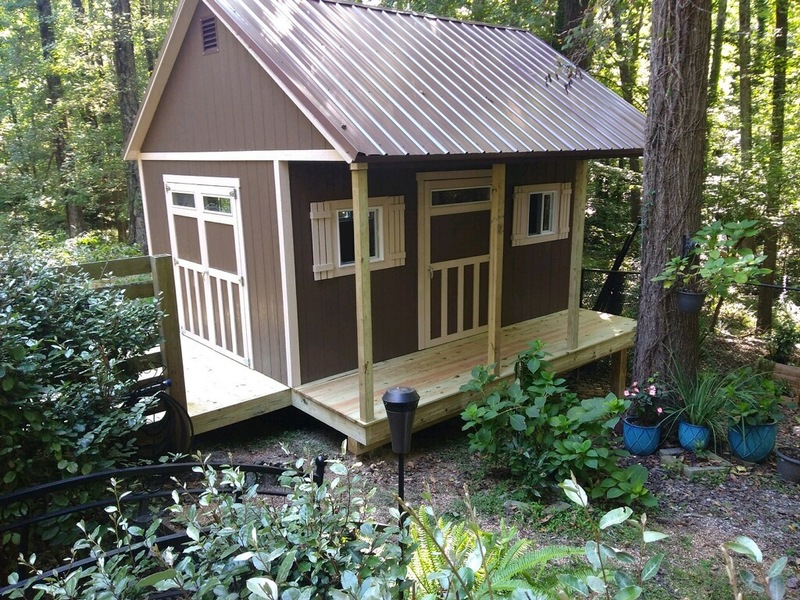 Get creative and add a little salvaged flair to your shed. Our Mason Jar Organizer is a great place to start.